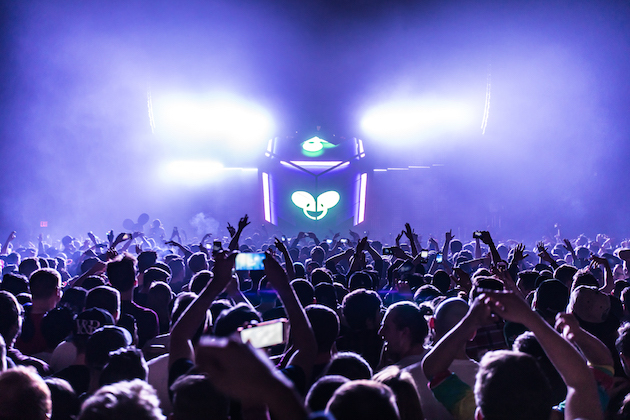 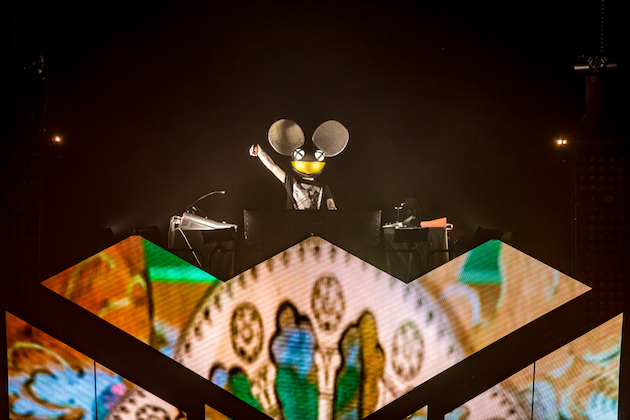 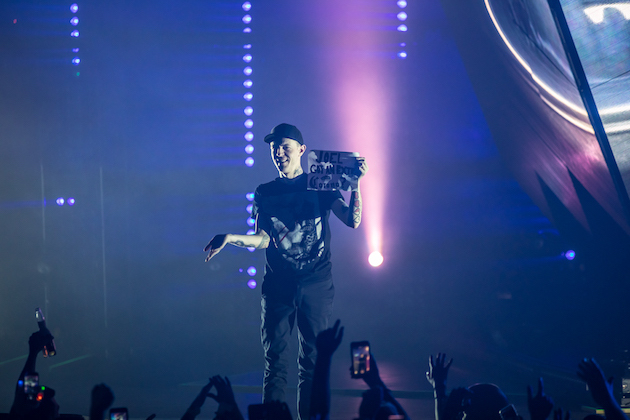 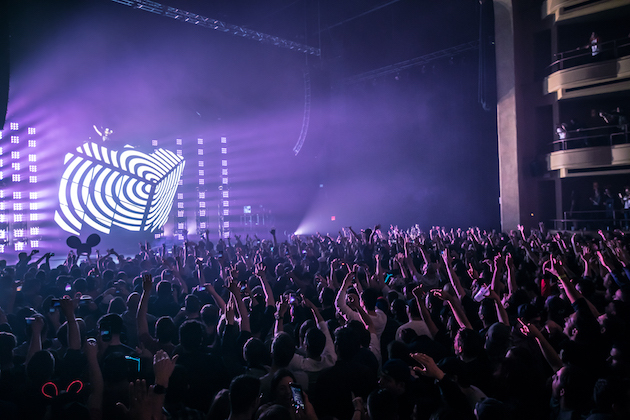 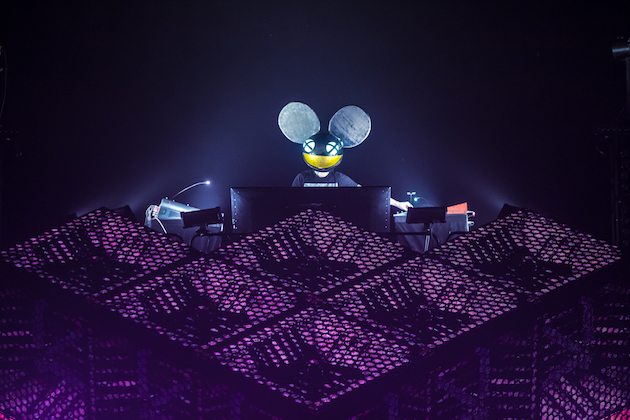 Deadmau5's latest live tour, dubbed 'Lots of shows in a row', is in full swing — with the controversial Canadian producer heading to Seattle this weekend — and judging by the photos we've secured from his New York shows, it looks like his best show, in both scale and scope, yet. 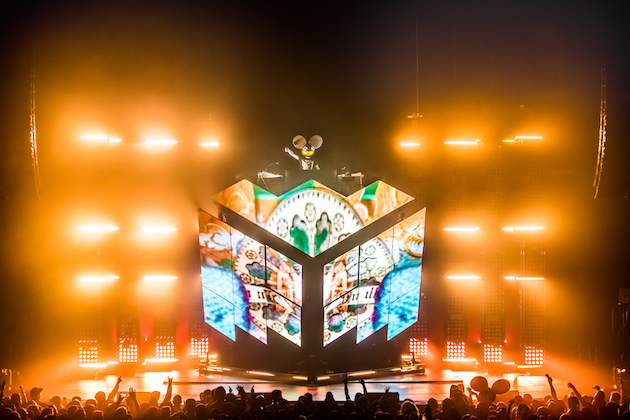 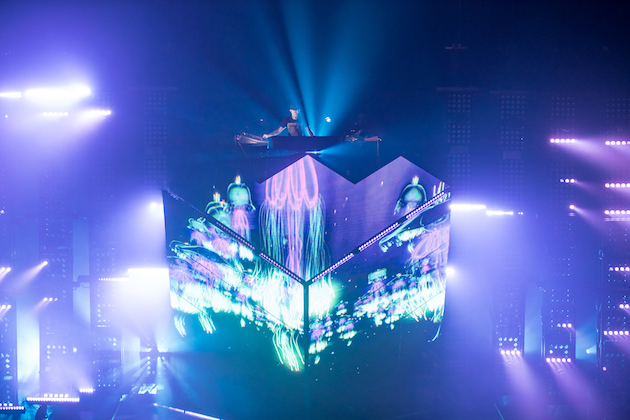 Deadmau5's' new Cube rig has been painstakingly designed and built over the last 18 months with no expense spared, the Canadian producer even had to sell one of his beloved cars to fund the new live show. 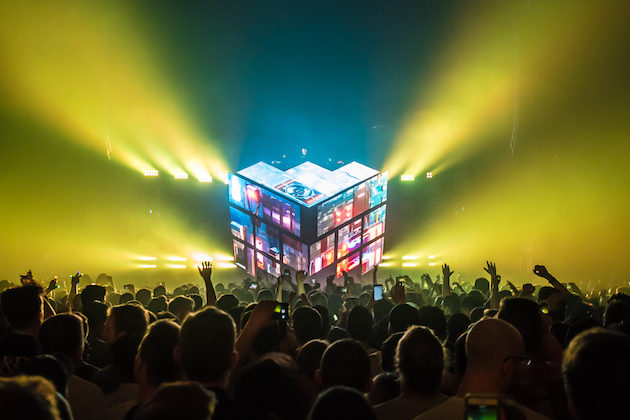 Inside the new and improve 18-foot high Cube 2.1 is a load of analogue gear that's controlled via enormous touch screen — running some bespoke midi software — where all the various pieces of gear are routed through and then controlled on the fly. 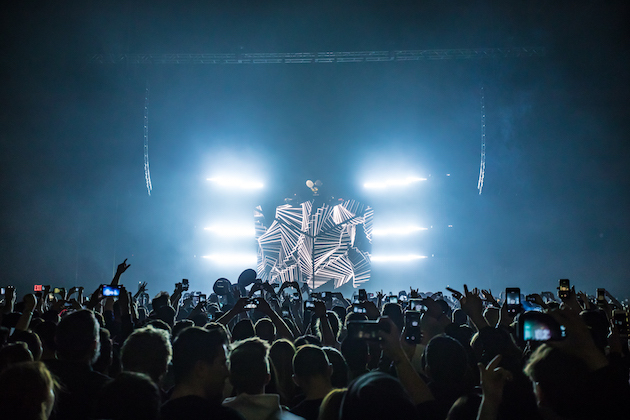 It's going to be a busy summer for the producer who is scheduled to join Eric Prydz in Ibiza for the Swede's forthcoming residency at Hï Ibiza, and again at Creamfields where the two will present a new combined live show. 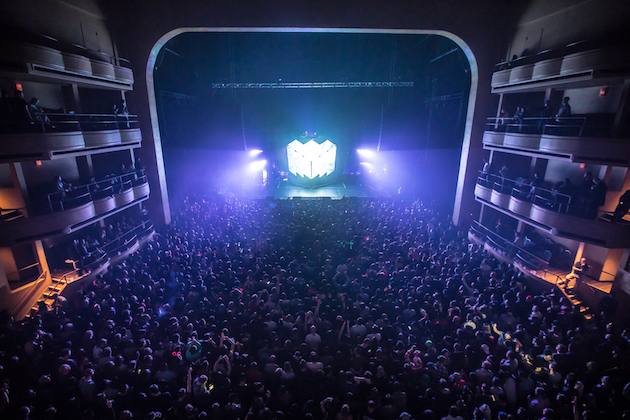 Check out 10 amazing photos from his recent sold-out New York shows below. 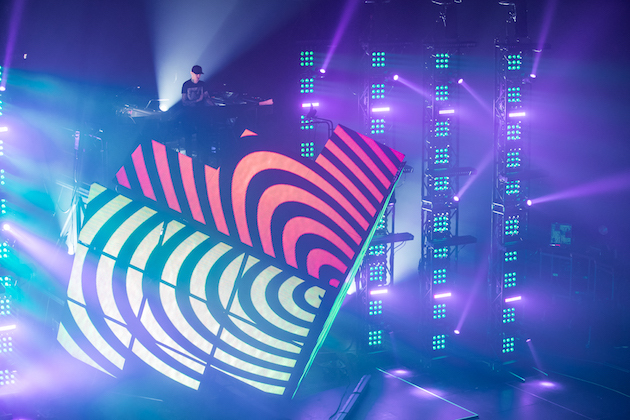 Tickets for his remaining live shows can be purchased here.